The Ink Trap: January Peeks at Kraftin' Kimmie Stamps: Day Three! 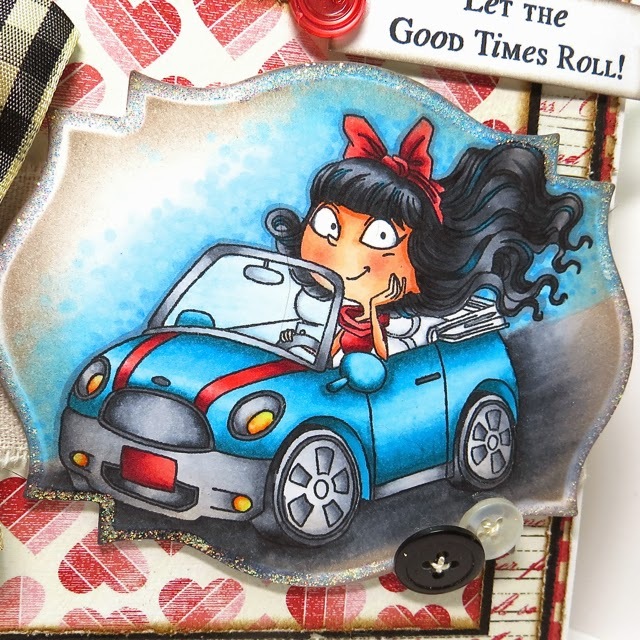 January Peeks at Kraftin' Kimmie Stamps: Day Three! Welcome back to Day THREE of the Kraftin' Kimmie Stamps JANUARY previews!!! We are back with a fabulous new Moonlight Whispers stamp set!! You'll love these two SASSY girls along with the FOUR fun sentiments!! Today the Krafty Girls are thrilled to share with you.....LET THE GOOD TIMES ROLL!! There are lots of amazing creations on today's hop featuring both new images and sentiments from the set!! We know you are just going to LOVE these images and be inspired by all the fun designs!! Below you will find all the Krafty Girls who have goodies to show you today and while you're visiting their blogs, be sure to leave some love at each stop because one lucky stamper is going to WIN a package of today's stamps!! Woohoo!!! ALL of our JANUARY stamps and our new Kardmaking Kit will be available on Saturday night at the Kraftin' Kimmie Stamps Shop!!! We'll be celebrating at our LIVE ONLINE RELEASE PARTY!! It's over at our KKS Facebook fan page! Join us for all the fun!! WOW, wonderful work on black hair!!! wonderful card....love the way you coloured the image. Amazing job. Love the coloring on this. Oh my! Look at how awesome you did the blue background!!! Rock it girl! How cute is this!! Love it!! Fabulous card!!! She is just too cute zipping in her car! Love the frame border, the road looks like she is moving! Great coloring! Gorgeous card! I love your coloring. This image is adorable and your card is very very cute. Fantastic creation of the sky and road! Oh Cheryl I love this card...makes me wanna get our Mustang convertible out and go for drive...if only it wasn't winter here in Southern Ontario !! LOL What a lovely creationg. Your colouring is amazing as always. Thanks for sharing and inspiring me. Very nice card. The colours are really nice. I love this image so much. Great card. 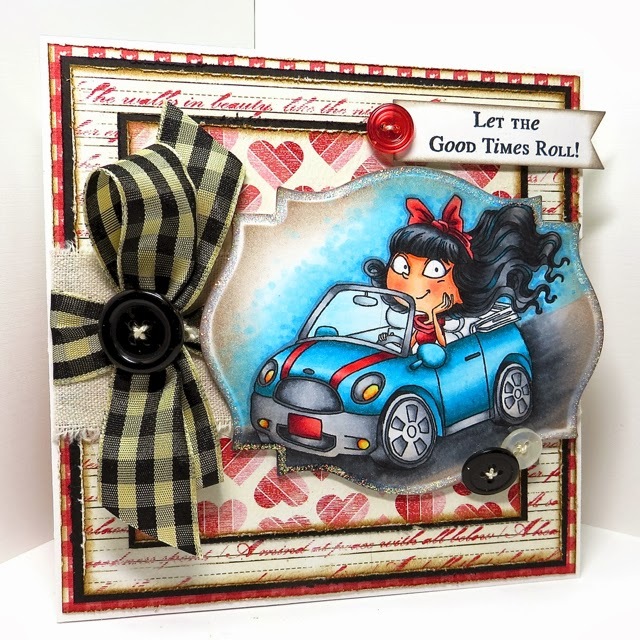 Wonderful Wednesday at Kraftin' Kimmie Stamps! Shake Your Booty by Art Impressions! Trip's Ahoy Challenge at Art Impressions! Looks like I need glasses! Yoga Yolanda at Art Impressions! Goldie Golfer at Art Impressions!